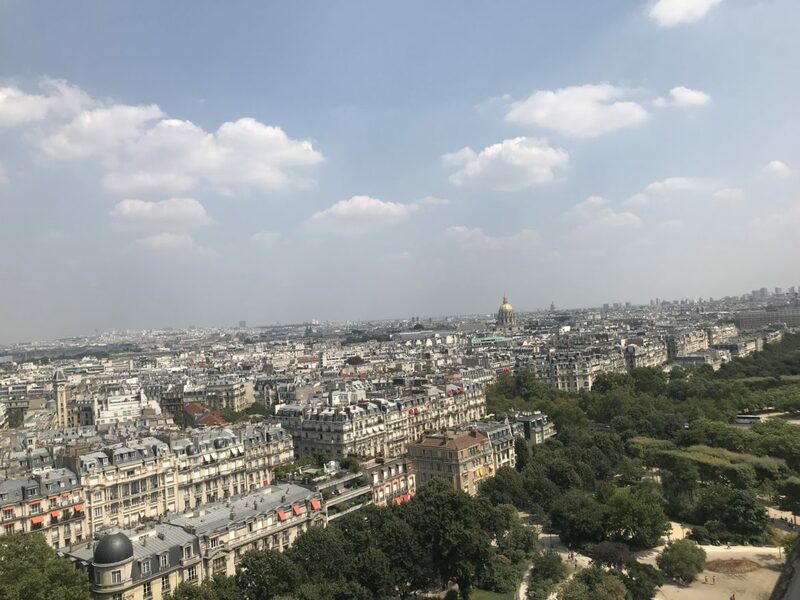 This summer, I visited Paris, not as a Design Tourist, but as a parent to show my children the city’s must-see landmarks, monuments, and museums. Beyond the City of Lights’ obvious attractions, Paris has many quirks and charms that make it, well Paris. Here are my favorite idiosyncracies in the city. 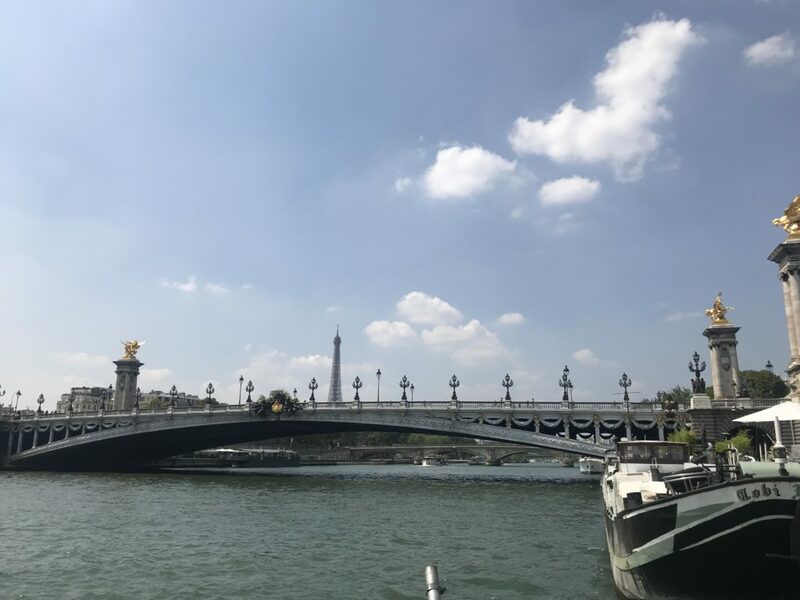 For the past sixty years, Paris has made decorative and architectural lighting a priority illuminating and highlighting important sites and monuments. City administration is currently updating many of these older lighting schemes to more energy-efficient LEDs. 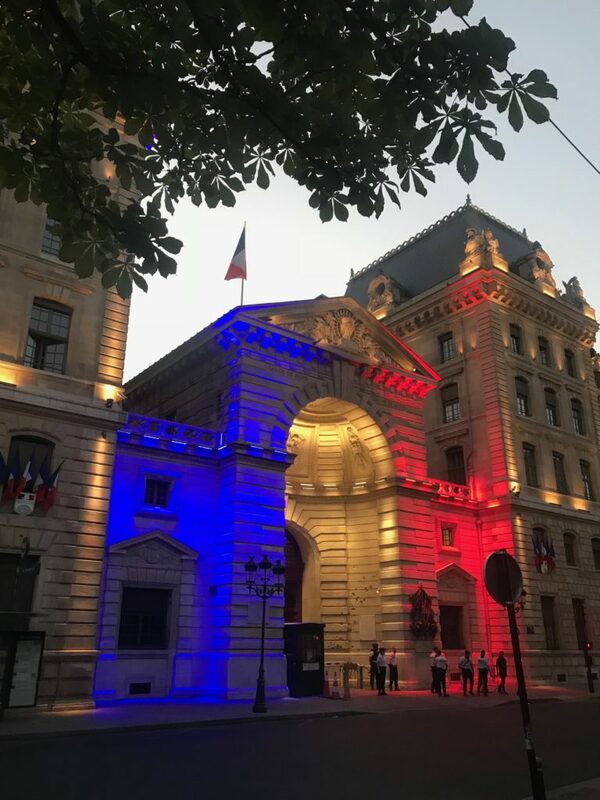 To date, 313 Parisian sites are illuminated including municipal buildings, the bridges of the Seine, emblematic public monuments belonging to the State: Arc de Triomphe, Panthéon, the July Column, and cultural monuments including Notre Dame, churches and many other noteworthy sites and constructions. 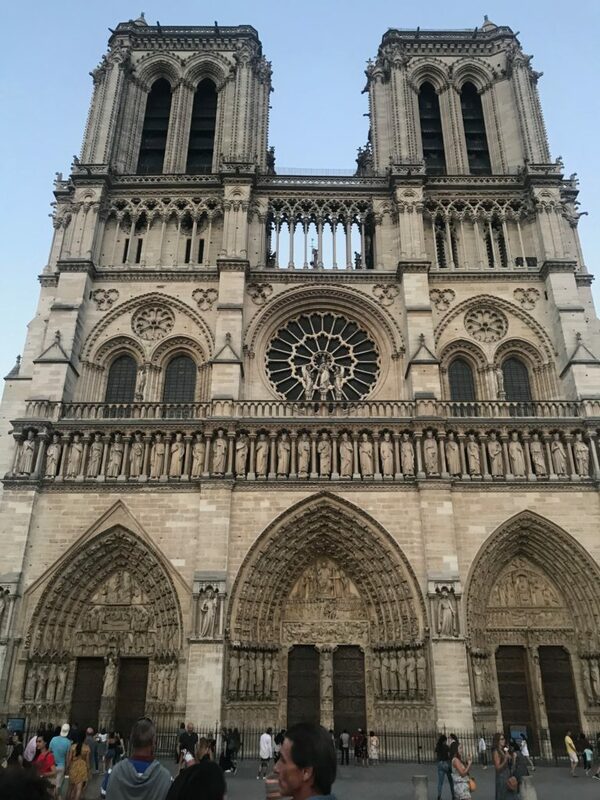 On a Sunday night, as we were strolling the grounds of Notre Dame, a street performance began drawing quite the crowd. Juggler Alexandre Ledit, winner of France’s Incredible Talent Search Show, Season 3, and his troupe of fire jugglers held a free show that began with Alexandre’s mesmerizing crystal ball juggling and dance choreography followed by nail-biting flame throwing and fire juggling. This talented group of performers is one of those unexpected discoveries when you just take time to roam Paris, sit awhile and take it all in. 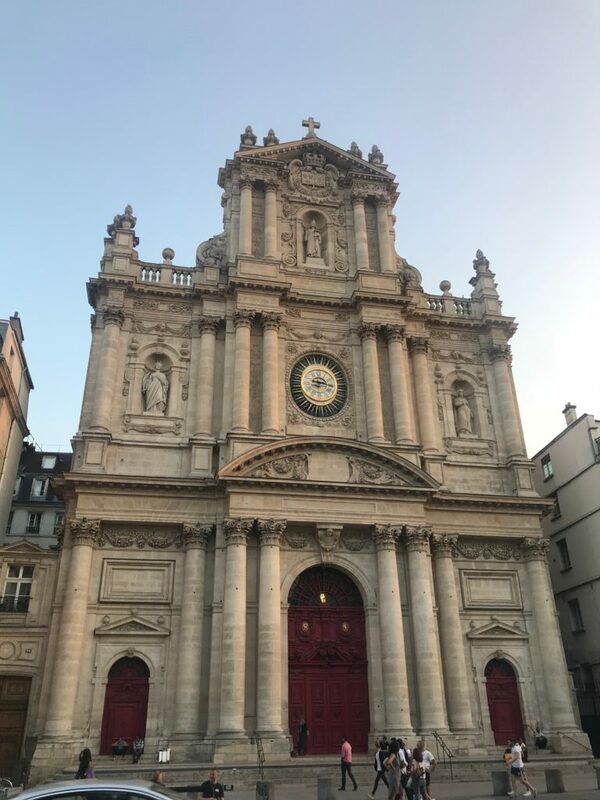 As an architecture aficionado, the churches of Paris are some of the finest examples of Romanesque and Gothic vernacular. 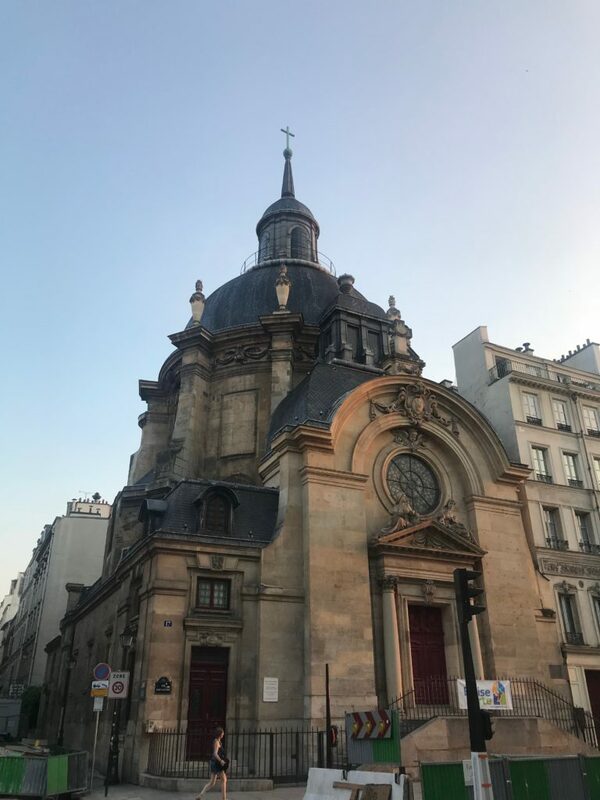 Beyond the headliners, Notre Dame and Sacre Coeur, there is a church in just about every neighborhood in Paris as chroniclers of history set in stone. For foodies, even the ordinary becomes art in the hands of skilled and creative servers, chefs, baristas, and bakers. 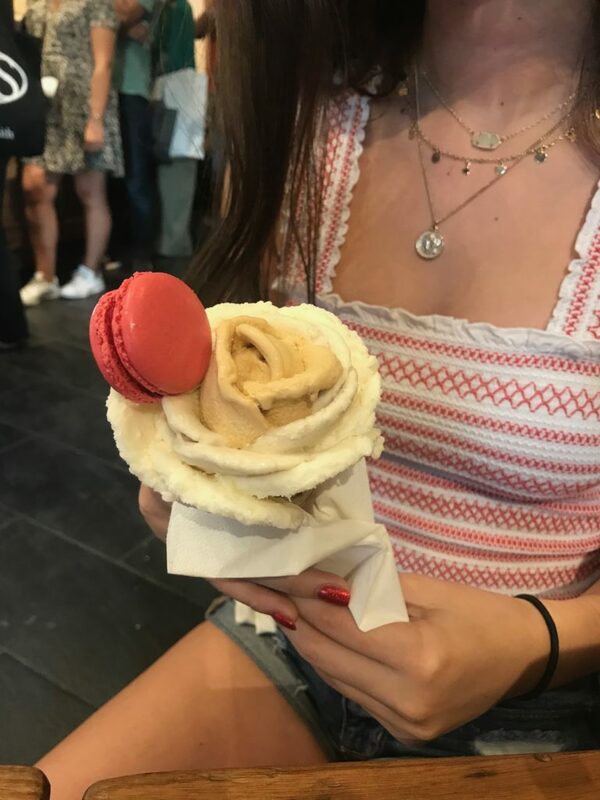 Check out this gelato in the form of a flower bloom topped with a meringue cookie. It’s the little things that impress me most. Modern architecture melds with historic architecture throughout Paris. 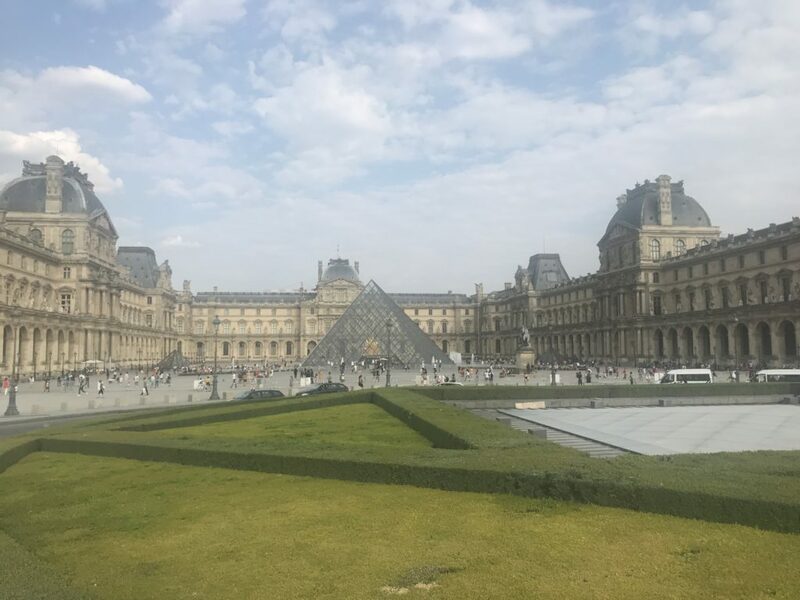 The most obvious example is the Louvre where its sleek glass triangle pavilion, an addition in 1983 designed by I.M. Pei, FAIA sits alongside the historic quadrangle of the Louvre buildings. The 71-foot-tall glass-and-metal pyramid caps an underground welcoming reception area, as well as a system of public spaces and circulation for visitors to access the collections. 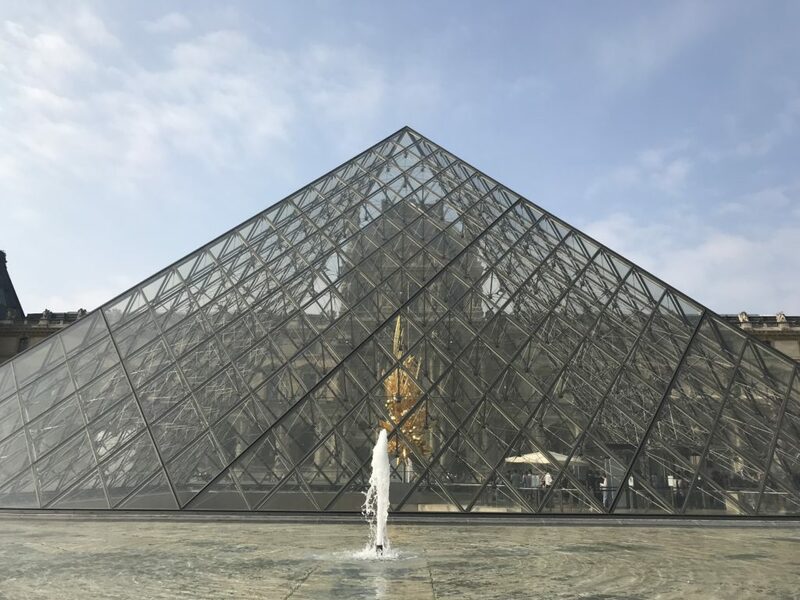 After initially suffering much criticism an architectural joke and eyesore, Pei’s glass pyramid is now respected and celebrated as a defining landmark of the Parisian landscape. 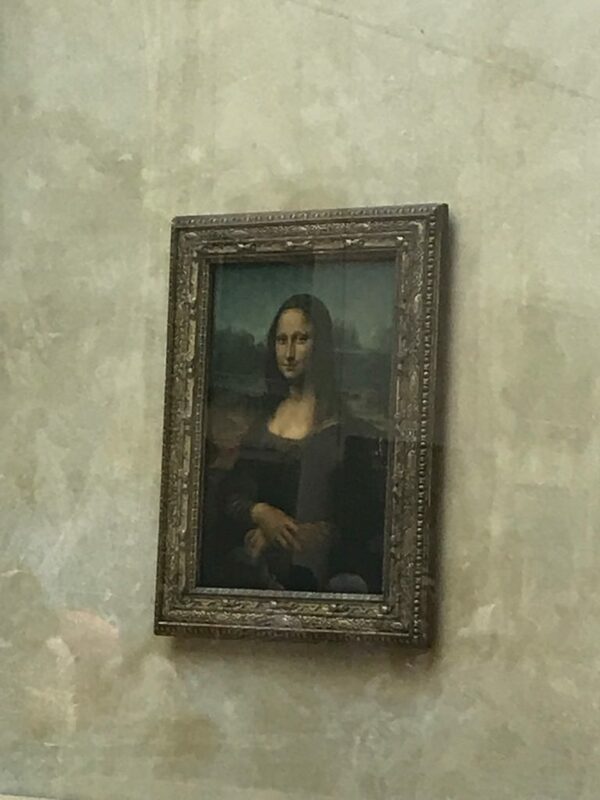 The fact that you can actually take cell phone pics of the Mona Lisa baffles me. If you can elbow your way through the throngs of tourists, you have to snap a selfie with the smiling lady. I made my cell phone snap of Mona Lisa my new screen saver. The Louvre does allow still and video photography for private, non-commercial use only in the galleries housing the permanent collection. The use of flash or other means of artificial lighting is prohibited. Photography and filming are not permitted in the temporary exhibition galleries. The same restrictions apply to the photographing or filming of technical installations and equipment. 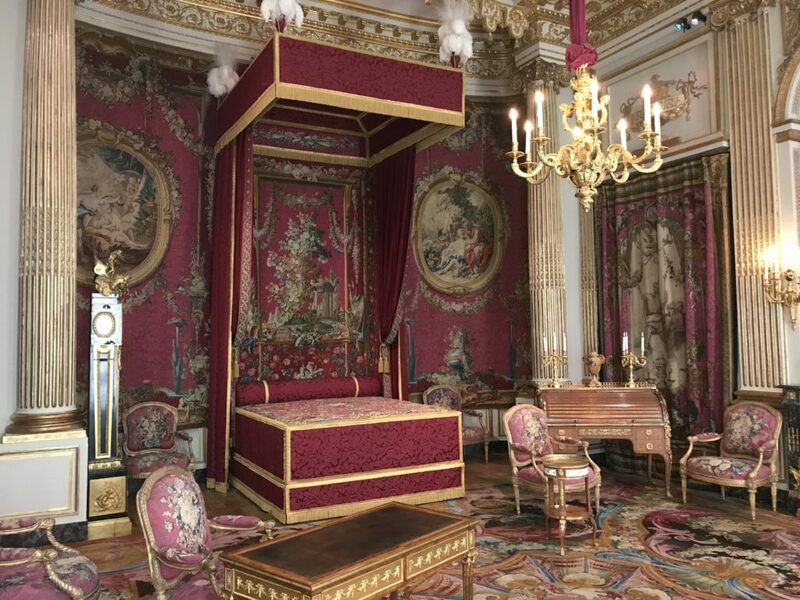 When it comes to over-the-top decor, the French court excelled at what we now call Maximalism style, that 17th-century Baroque style and 18th-century Rococo aesthetic where every inch of a room is gilded, carved, painted, or plastered in decorative arts that scream wealth and excess. 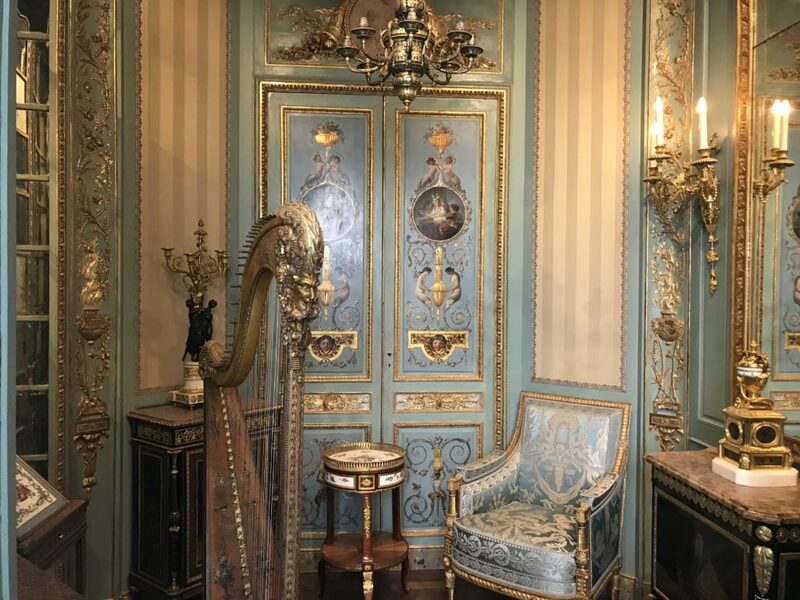 The eccentric styles gave us ornate wood paneling, fine tapestries, furniture, decorative bronze work, marble items, gold, silverware, and porcelain, like no other era in design.